The GEM Rhino Provides SLR cameras as well as medium sized cameras such as bridge cameras, a great level of protection with its high quality material and 10mm padding in areas, also providing you with a case that is comfortable and practical to use. 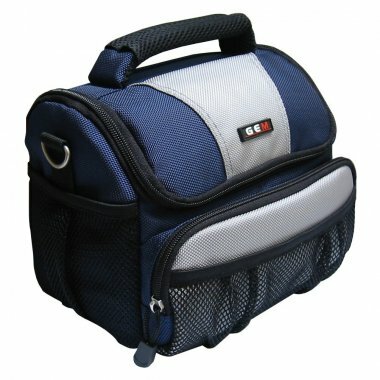 If you have an SLR, the case is ideal if you are looking to go lightweight. This is easily achieved when all you require is your camera, a short zoom lens and a few other accessories. 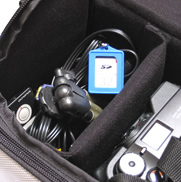 If you have a medium sized camera such as a bridge camera and accessories, the Rhino is ideal as you only need the one case to transport all of these items safely around. 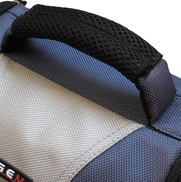 Whether you have an SLR or bridge camera, for maximum protection the case has thick padding throughout with reinforced padding within vulnerable areas, such as the base of the case. 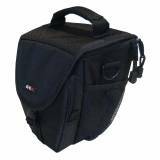 To hold your camera within its padded cell in case of any knocks and bumps that inevitably happen, there is a neat movable and removable divider, which can also safely separate your camera from any accessories that will fit in the case. We are very aware that your camera can become useless without vital accessories such as spare memory cards, batteries, etc.,to keep everything together, there is a padded accessory pocket on the front of the case.To make even more storage for those accessories, there are also two netted side pockets and one netted front pocket, Quick access for those items you love. The 2-way carry system allows for easy and comfortable transportation for everyone.with the padded carry handle belt or the fully adjustable shoulder strap as an option. You can carry your kit the way that you want. C Burns August 12 I purchased this for a Nikon Coolpix camera I had ordered and it fits perfectly. Speedy delivery - would definitely order from this company again. john June 17 bought for a panasonic fz82 camera, perfect for my needs and well made,delivery was very quick and would recommend this company to anyone. George Rainer January 13 Bag a perfect size for my Pentax X5. Just big enough for the camera and accessories, Super fast delivery and good coms. All delivery to mainland UK (including the scottish highlands and northern ireland) is free. Your order will arrive by Royal Mail or a recognised courier and the delivery time is typically 3 working days from the point of purchase (unless otherwise stated). 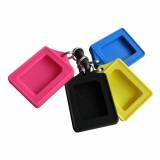 We do allow shipping to an alternative address, subject to security checks. We can also deliver on a Saturday if that helps, please call us for details. We pride ourselves on the quality of our packaging and damage rates are very low. In the unlikely event there is damage contact us. GEM SLR & Bridge Camera Case with room for accessories. 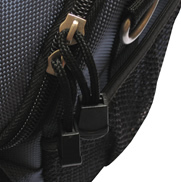 Carry using the shoulder strap, or the padded carry handle.